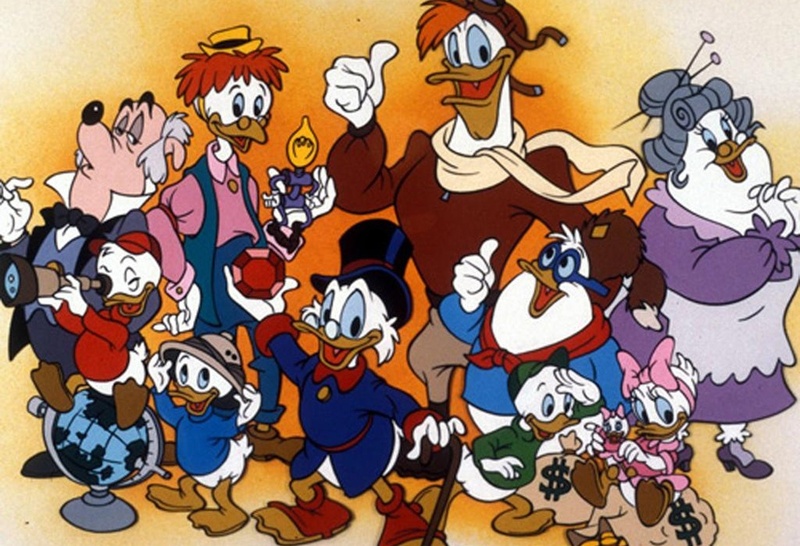 The new series, which will air two years from now will follow the same formula as the original show, which aired from 1987-1990, in that Scrooge McDuck and his nephews will journey worldwide on adventures while getting into trouble and having fun. Other beloved characters slated to be in the new stories are: Duckworth, Gyro Gearloose, Launchpad McQuack, Flintheart Glomgold, Magica DeSpell & Poe, Ma Beagle and the Beagle Boys (Burger Beagle, Bouncer Beagle), Mrs. Beakley and Webbigail Vanderquack. I’m looking forward to this, even though I know it’s far off rom now. But when Warner rebooted the Looney Tunes show, those episodes were excellent. It took a little time do get used to the new digital sleek animation, but it all worked well. Let’s hope the same goes for this show. This entry was posted on Wednesday, February 25th, 2015 at 11:22 am	and is filed under News, Television. You can follow any responses to this entry through the RSS 2.0 feed. You can skip to the end and leave a response. Pinging is currently not allowed. « Kurt Sutter’s Latest FX Gig Gets Familiar Faces From ‘Sons of Anarchy’ Family!!! [Darius is waiting for Toby to hack into the Dept. of Defense at Lola's car shop. Lola is waiting with them] You know, you don't have to wait up. You think I'd leave you alone with my car?